Companies are constantly working on improving their mobile communication devices. In order to operate more flexible and efficiently, the mobile accessibility and reliability should be optimal, both inside and outside office walls. 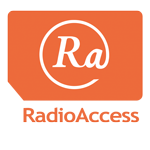 RadioAccess knows the mobile communication market like no other and is offering the solution for better indoor coverage. We advise companies our Indoor Antenna Networks as a solution for public GSM, UMTS, WLAN, Mobile Radio and pager systems. The advantage of using Indoor Antenna Networks is that multiple mobile devices can use a guaranteed signal. What is a DAS system? 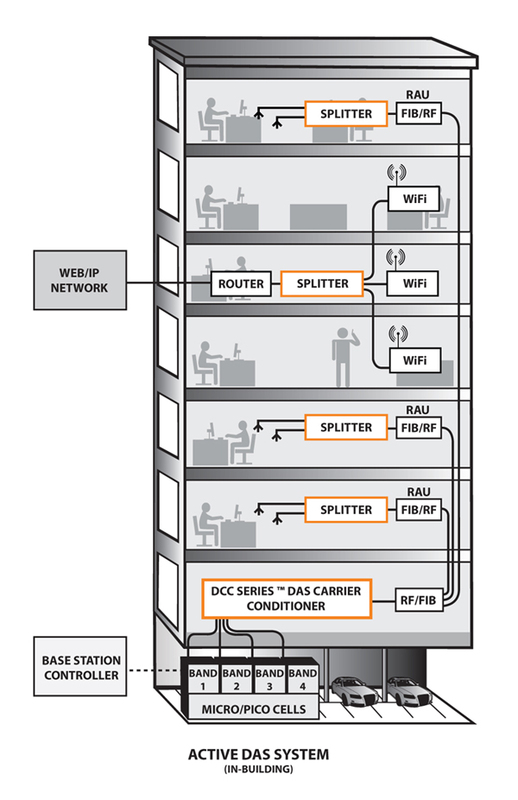 A Distributed Antenna System (DAS) is a shared-infrastructure or neutral host model for expanding a wireless network footprint by adding coverage and capacity in hard to reach areas. This is resulting in increased quality without requiring customers to make the capital investment to build their own network system or manage an additional infrastructure. Our custom designed indoor and outdoor DAS solutions are an important complement to our core business, providing pinpoint coverage and capacity solutions for customers as well as seamless integration with our mobile network solutions. Coaxial cables, splitters, tappers and antennas connecting GSM – UMTS radio signals throughout the building. At the passive network a signal source is connected to the network of the mobile operator. 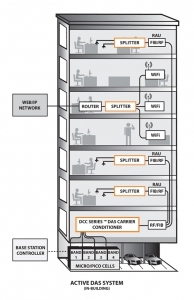 When To Use A Distributed Antenna System? If it’s required by the city for public safety coverage. When the facility desires to provide coverage for multiple wireless carriers. To improve poor mobile device signal strength. If users have trouble making or receiving calls in stairwells and elevators. If you hear constant complaints from tenants/customers about the poor cellular signal. penetrating through, DAS is recommended. penetrating from floor to floor. For high traffic venues like stadiums, arenas, and airports. As we said, here are two main forms of indoor distributed antenna systems: Passive and Active. A passive DAS grabs cell phone signals from antennas on the roof and runs them through “leaky coax” cables throughout the building. The signal leakage distributes the signal. In active systems, the signal is passed from roof antennas through fiber cables, which typically are less “lossy” than coax cables. This means signals can be passed over greater distances. Not sure what is the best for your situation?